If you have a bathroom that has a premium on space, then a high quality shower enclosure can make all the difference. At House of Tiles, as well as offering the very best in porcelain and ceramic tiles, we supply an extensive range of bathroom suites and fittings from leading manufacturers like Ultra, RT Large, Tavistock, Hudson Reed, Sonas, RAK and Twyford. So, what do we have in store? Well, we’re glad you asked! 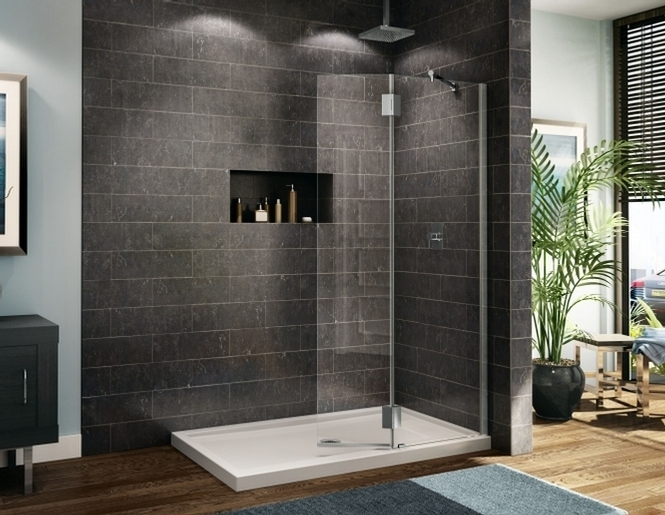 We have stylish and robust quadrant shower doors available for just €249, which come complete with a heavy duty waste tray. Lots of customers like to replace their bath completely with one of these well crafted units, which is able to turn a small and cluttered bathroom into a shower room with lots of space http://bit.ly/2JrT4q2. For a more classic look, we have a great range of Pivot shower doors, which come in a range of styles and sizes. You get a choice of thickness of glass, roller system and a different range of door handles. What’s more, they’re available to suit any budget, as we offer them from €319.00, as they come complete with waste tray http://bit.ly/2Jmf31P. If your bathroom isn’t restricted for space and you just want a stylish shower unit for a quicker option than a long soak in the bath, then our sliding door range of shower units fits the bill. Available in sizes ranging from 1000mm to 1600mm, this elegant option can be purchased for as little as €399, complete with waste, tray and door. For more information on any of the products described here or any other of the fantastic House of Tiles offers we have running, please visit our website www.houseoftiles.ie or give us a call on 01 426 4881 and one of our friendly team will be able to help you pinpoint exactly what you need to make your home improvement ideas a reality.